Bobin Homes recently completed this bungalow. The bungalow has a number of added features including a double garage with house access internally, a full second level in the loft area with rooms and windows, and a hall area preceding the house. Bobin Homes recently completed this custom build bungalow. The house was built to customer specifications and has two levels plus an added extension area which could open out to a patio area with large double glass doors. 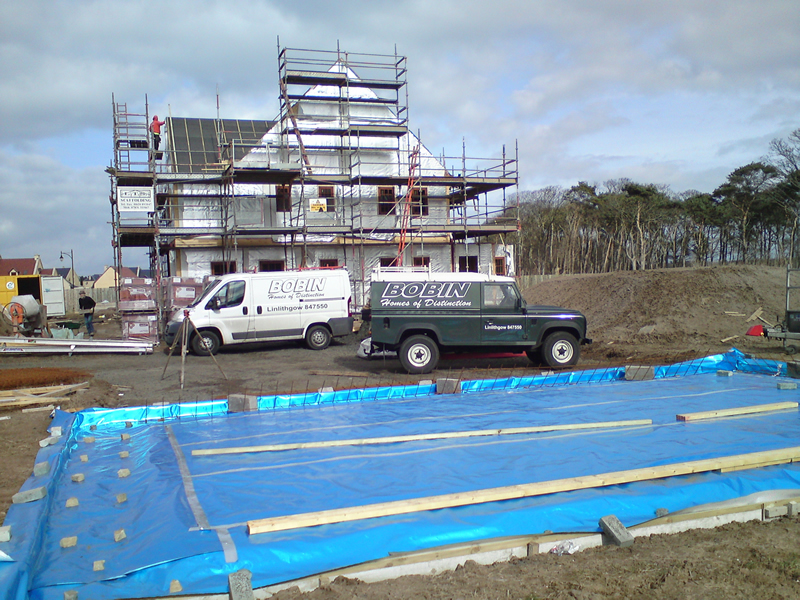 The top level of the house has been designed using the loft area thereby making good cost efficiency savings. 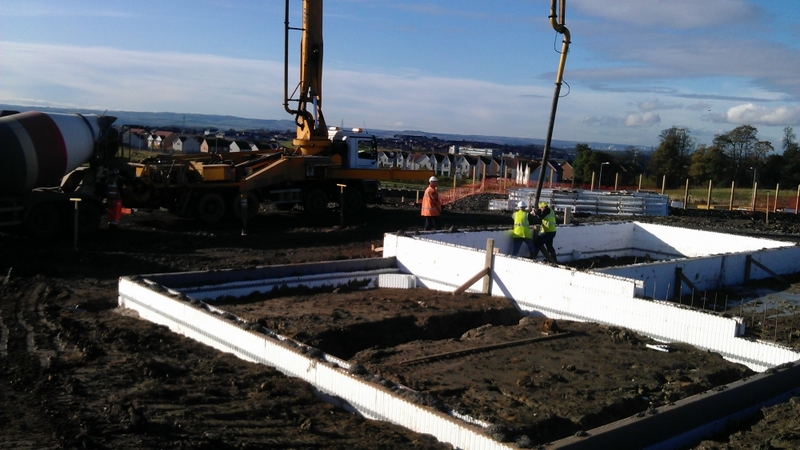 The project is a partnership between Fife Council, Kingdom Housing Association and a select group of contractors. As one of the contractors selected for the showcase, we at Bobin Homes developed an insulated concrete formwork building, through our partner, Beco Wallform. This system is at the forefront of eco technology, although we are focusing on the building fabric and not the �bolt on� renewables. Beco Wallform consists of pre formed blocks which lock together to form a permanent formwork for a concrete core. The formwork is then clad in polymor rendor with no need for block superstructure. Inside the block the walls are plastered onto the becoblock. With u-values ranging down to 0.11w/m2k, ideal for future �passivhaus� recommendations. The National House-Building Council is the standard setting body and leading warranty and insurance provider for new and newly converted homes in the UK. All registered builders are bound to agree and comply with NHBC Rules and build homes to NHBC Standards of construction. Only builders and developers who can demonstrate sound financial security & technical competence are registered with NHBC. Bobin Homes can design homes to custom specifications or provide full pre-planned design samples. We are happy to arrange free consultations at our head office. 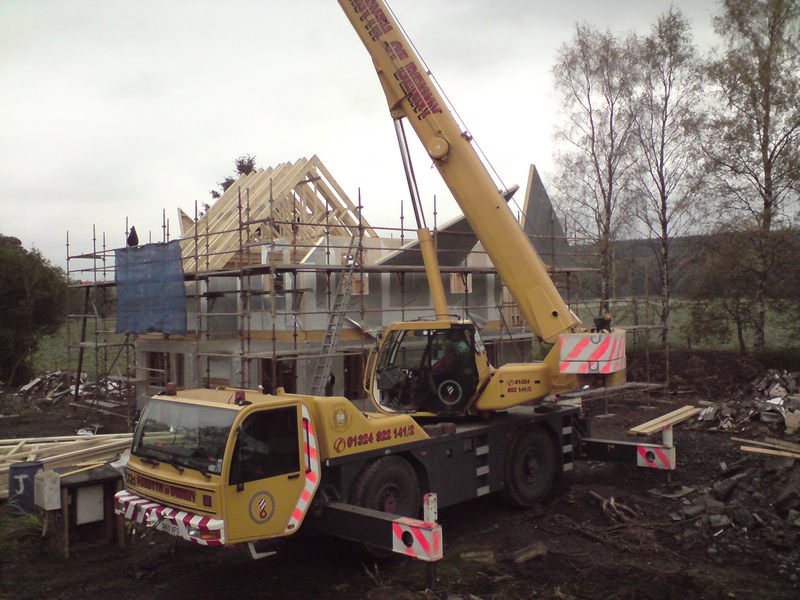 The National House-Building Council is the standard setting body and leading warranty and insurance provider for new and newly converted homes in the UK.